Bay Ridge Prep was established in 1998 by a team of educators led by co-founders and current Heads of School Dr. Charles Fasano and Dr. Michael Dealy. Built upon the experience of its founders, the school continues to successfully carry out its mission by hiring, retaining and training faculty and staff who share Dr. Fasano's and Dr. Dealy's vision to have a fresh approach to education. Dr. Charles Fasano, one of the founding Heads of Bay Ridge Prep, has been involved in the field of education for over 30 years. In addition to overseeing the day-to-day operations of Bay Ridge Prep, Dr. Fasano also teaches sixth grade science, coaches the Middle School baseball team and can often be seen jumping in on ping pong tournaments with students or running alongside them during track practice. Prior to Bay Ridge Prep, Dr. Fasano served as Headmaster of Adelphi Academy of Brooklyn. At Adelphi, Dr. Fasano and his administration were credited with dramatically increasing the school’s enrollment, restructuring the educational program and regaining financial stability for the institution. After a three-year tenure at Adelphi, Dr. Fasano co-founded Bay Ridge Prep in 1998 in a one-room storefront on 78th Street just off 5th Avenue in Brooklyn. The school initially enrolled 35 students and, as word of mouth quickly spread, enrollment flourished to the point where Bay Ridge Prep has now grown to occupy two facilities with an enrollment of 390 students. Outside of Bay Ridge Prep, Dr. Fasano has served as an adjunct professor at Lehman College, Hunter College and Fordham University’s Graduate School of Education. As a professor, he has taught courses in Research Design, Statistics and Educational Practices. He continues to give workshops to other educators on topics such as Identifying & Preventing Child Abuse and Creating Safe Schools. In 2014, Dr. Fasano was invited by the New York State Association of Independent Schools to serve on the commission that guides other independent schools through the accreditation process. His service to the community has included being an emergency medical technician with the B.R.A.V.O. volunteer ambulance organization, a youth worker at McKinley Junior High School’s evening program and continuing to voluntarily run a karate program for Manhattan Youth, a non-profit organization that he founded original programs for over 30 years ago. Additionally, he assists with curriculum development for parochial schools serving low-income families. In 2010, Dr. Fasano joined the founding board of the Shore Road Parks Conservancy and currently serves as president of the Conservancy. Through his volunteer work with Shore Road Parks, he has raised over $6 million for capital projects to improve parks throughout the Bay Ridge area and provide family-friendly community events such as the annual Owls Head Park Halloween Walk and several local Christmas tree lightings. He has also recruited hundreds of volunteers to maintain and beautify five designated park areas on Shore Road. A devoted husband and a proud father of two Bay Ridge Prep students, Dr. Fasano holds a Doctoral degree and Professional Diploma in School Psychology from Fordham University and a Bachelors degree from New York University. He is a New York State licensed Psychologist and New York State certified teacher. He is an avid tennis player, biker, martial artist, and Brooklyn Nets fan and has completed the New York City Marathon 15 times. Before co-founding Bay Ridge Prep in 1998, Dr. Michael Dealy was already well known for his contributions to the fields of psychology and education and for his service to the community. As a psychologist, graduate school professor, licensed secondary school teacher, emergency medical technician, karate instructor, author, lecturer and camp director, Dr. Dealy brings to Bay Ridge Prep a unique wealth of knowledge and experience in guiding students and faculty. In addition to being a Co-Head of School of at Bay Ridge Prep, he also teaches several upper school courses, including United States History, English Literature and a college-level English Composition. Prior to Bay Ridge Prep, Dr. Dealy served as Admissions Director and Guidance Counselor of Adelphi Academy in Brooklyn from 1995 – 1998. He was previously elected to New York City District 20 Community School Board for two terms in office, presiding over the School Board's Committee on Special Education. 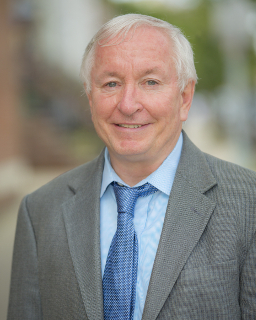 As a licensed school psychologist with the New York City Department of Education, Dr. Dealy was a member of the first learning disabilities evaluation team for the city's Committee on the Handicapped. During his time with Department of Education, he conducted training workshops for educators and evaluators on evaluation, diagnosis, individual educational planning and intervention for students with a variety of needs. An adjunct professor at Fordham University, New York University and Queens College, Dr. Dealy has taught graduate courses in Learning Theories, Psychology of Learning, Advanced Projective Analysis, Advanced Rorschach Diagnostics, Crisis Intervention, Counseling Theories, Child and Adolescent Counseling, Advanced Applications of Counseling Theory and Family Therapy. He also presently teaches a course in English Composition for St. John's University. He has done workshops on crisis intervention and stress management for several New York City hospitals, universities and New York City’s Emergency Medical Services. He went on to earn a Master of Arts in Semi-Comparative Literature from Fordham University’s Graduate School of Arts and Sciences, a Master of Science in School Psychology from Pace University Graduate School and a Ph.D. in Educational Psychology from Fordham University. 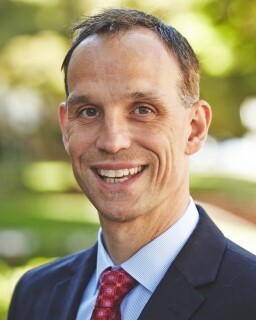 Most recently, he was admitted to the Harvard University Principal's Center and he spends part of his summers on the Harvard campus studying topics such as Mind, Brain and Education, which examines research in neuroscience, genetics and education, as well as 21st Century Leadership in High Schools, which focused on the latest progressive trends and applications for expanding leadership thinking in administration, teacher evaluation and system-wide problem solving. In 2014, he worked with Harvard University Graduate School of Education Professional Studies Program as a "Convener of Consultancy" to facilitate group problem solving for a team of international educators. Dr. Dealy recently published a children's book on school bullying titled "Isabella and the Little Green Lantern". He enjoys giving workshops for and serving on the board of advisors of the International Society for Emotional Intelligence and is a member of the Adirondack Council, which fights to preserve upstate New York wilderness. A 30-time New York City Marathon finisher, Dr. Dealy is also a member of the Adirondack Mountain Club, where he enjoys hiking the high peaks of upstate New York.